← “But if You Do Not Forgive Others Their Trespasses, Neither Will….” Is God’s Love Really Unconditional? 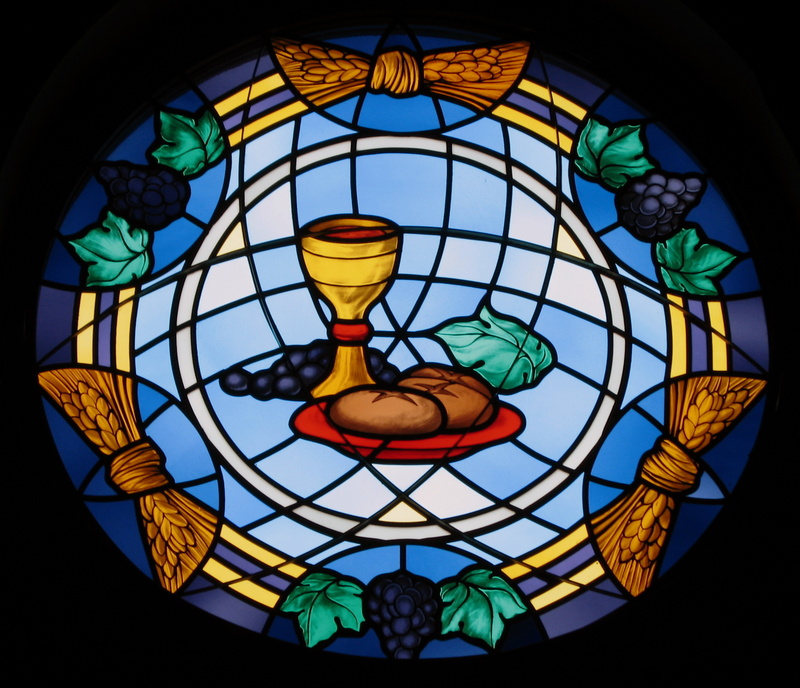 Why Does God Come to Us in Bread and Wine? Not the picture I refer to in the talk. See here for that. I have had some inspirational thoughts about the truths contained in the Bible lately. Admittedly, that is probably why this simple and humble illustration impressed itself upon me – not so much because it overwhelmed me with its artistic value, but because these days I have had the sacraments of the Christian Church, its “holy mysteries” – Baptism and the Lord’s Supper (pictured here) – on my mind. Before I talk about them specifically, a question for you (which I promise will show its relevance later on): What does the Bible tells us is the first thing that almost all angels say when they appear? That’s right: “Fear not”. Evidently, what every angel must learn in their Angels 101 class. For in their presence, sinful man’s natural response is one of fear. Terror of the Holy. But this is not the end of the story. For God deigns to visit those terrified by their unholiness with His gracious Presence…. Take and eat, this is my body, which is given for you. Take and drink of it, all of you, this is the cup of the new and eternal testament in my blood, which is poured out for you and for many for the forgiveness of sins. …Here, His children receive the fruits of the cross, where He exchanged His perfection for our sin, His death for our life… that we might be His own. In truth, those inspired thoughts – about the humble and simple forms God uses to reach us – were not from me. It is actually what the great Reformer of the Christian Church, Martin Luther, said 500 years ago. Of God’s working in this way, he says: “Who can be terrified by these pleasing methods, and wouldn’t rather delight in them with all his heart?” Through these, Luther writes, he is “forgiving sin, cleansing from sin, removing death, bestowing grace and eternal life”. All this said, it is not that these simple and humble forms make terror of the Holy One inconceivable. In the New Testament, Paul writes that some – perhaps not impressed with the humble and simple forms of bread and wine veiling God’s majesty – eat and drink without discerning the body, thereby eating and drinking judgment on themselves… they are “guilty concerning the body and blood of the Lord”. Here, the Lord even chose to strike some of His people down. It seems a God who comes simply and humbly, like a Lamb – and our sacrificial Lamb, slain for our sins – is perhaps easier to love but also easier to scorn and disregard. But we dare not think that He will not come, like a Lion (as C.S. Lewis said, “Aslan is good but not tame”) to judge the living and the dead, in an event that Christians especially remember now during this Advent season. For further reflection, I encourage the good Advent and Lord’s Supper hymn “Let all mortal flesh keep silence”. Yes, it sounds a bit rough, but there also can be great comfort found therein. Thank you.